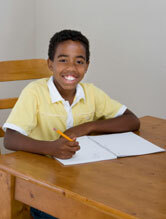 More than 1 in 10 children in the United States have been diagnosed with ADHD. Congratulations to all of the Y3K Tutor In Your Home students and families for another successful school year! Your hard work paid off. Now as you begin to unwind, remember we will always be here for you from the time you need us to the time you do not need us anymore. As always you will never have to sign a contract. Enjoy your summer! If you tried your best, there is no shame in failure . . . only in quitting. Data shows that about 6,400,000 children between 4 and 17 have received an ADHD diagnosis in the United States. This is a 16% increase since 2007 and a 53% rise in the past decade!